The Lakeland Tigers won two-straight games in August 1992 and Tom Ealy put himself in the center of both victories, according to The Lakeland Ledger. Lakeland won the first night 4-0 on the strength of Ealy's two RBI. The next night, his home run and RBI single put the club up 2-0 on its way to a 4-3 win, The Ledger wrote. Ealy helped in those wins in his eighth season as a pro. He'd made AA the previous two seasons, but he never made it higher. That season at high-A Lakeland proved his final season as a pro. Ealy's career began in 1985, taken by the Giants in the 30th round of the draft out of Chaparral High School in Las Vegas. Ealy also sometimes goes by his formal name, Thomas Ealy. Ealy started with the Giants at short-season Everett. He got into 25 games, hitting .203. He then played 1986 between short-season Tri-Cities and single-A Clinton. The outfielder hit .241 between them. Ealy stayed at Clinton for 1987 and 1988, improving his 1988 average to .284 over 72 games, his career-high to that point. 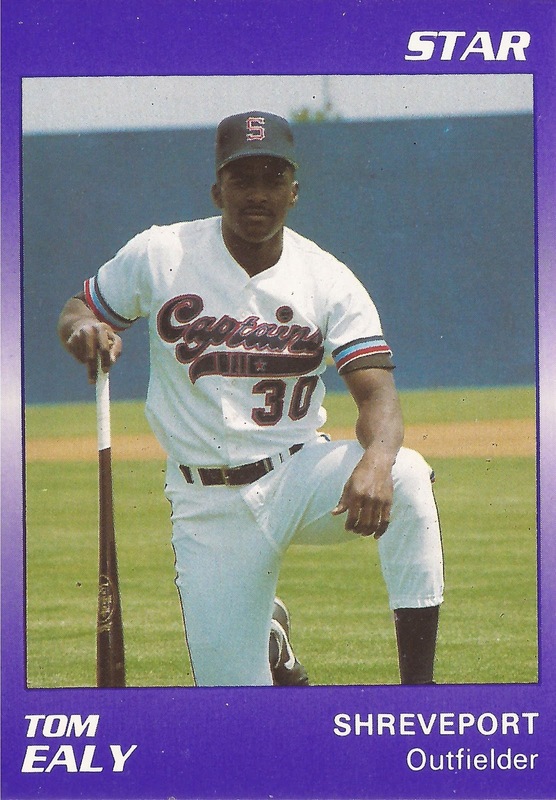 His playing time increased in 1989, getting 115 games at single-A San Jose. He hit .259, with six home runs. Ealy made AA Shreveport for 1990 and returned there for 1991. He hit .257 his first year there, but just .201 his second. He moved to the Tigers system and high-A Lakeland for 1992. He broke a late tie in an August 1992 game with a home run. He hit .283 overall in 77 games that year, ending his career. Ealy went on to work as a scout with the Braves. He's since returned home to Las Vegas and works a as a realtor. In May 2015, The Las Vegas Review-Journal featured Ealy and his 13-year-old scooter-enthusiast son at the North American Pro Scooter Championship.